The United States government purchases more goods and services than any other entity in the world; therefore, many federal business opportunities are available to companies both large and small. However, it is typically contractors who understand how to bid on government contracts that can properly seize these opportunities. Bidding on a federal business opportunity can seem like an arduous feat, however it is not impossible. In order to be successful, the offeror must understand the types of contract vehicles that the contracting officer has chosen to utilize, the regulating body for government contracts, and the overall bidding process. The government utilizes contract vehicles as a method to buy goods and services. In order to become familiar with contract vehicles, new offerors should review the Federal Acquisition Regulations (FAR) parts, 12, 13, 14, 15 and 16. The FAR is a section of the Code of Federal Regulations, carved out specifically for government contracting. (48 CFR 1.000) Contracting Officers use the simplified acquisition procedure, discussed fully in FAR part 13, for goods or services that are generally less than $150,000 (in certain situations this can be $300,000) dollars. Instead of a full and open competition, this vehicle allows contracting officers to give the award to a small business concern under the 8(a) Program , Historically Underutilized Business Zone, Service-Disabled Veteran-Owned Small Business, or Women-Owned Small Business. The ability to set aside contracts using this vehicle for small businesses is a valuable asset when bidding on Government Contracts. Contracting Officers also use sealed bidding, discussed fully in FAR part 14, for goods or services by way of competitive bids and public opening bids. Sealed bidding often referred to as an invitation to bid, which must be published publicly and cannot be unnecessarily restrictive. The government makes an award, after the publicized cut off time to the offeror whose bid met the necessary requirements and proved to be the most advantageous. The government makes this decision based primarily on price related factors. These types of contracts are highly competitive, so it is best to research and prepare in advance. Contracting by negotiation, discussed fully in FAR part 15, includes all other vehicle types other than sealed bidding. Contracting by negotiation can be by way of sole source (award given to a particular vendor without competition) or through competitive acquisition (award given after open competition to the offeror whose proposition is most advantageous to the government). Request for Proposals (RFPs) are used to solicit competitive responses from prospective contractors. After the government determines the competitive range, it can either enter into further discussions with offerors that fall within that range, or award the contract without discussion. The choice of contract vehicle is left to the contracting officer. The contracting officer has wide latitude in most decisions and will be protected by their business judgment. To learn more about the role and responsibilities of a contracting officer, review FAR part 1. While becoming a Federal Government contract holder can seem lucrative, it does not come without hurdles. Governed by the FAR, government contracts are highly regulated. Regulations may hinder a potential contractor before finding their first federal business opportunity. 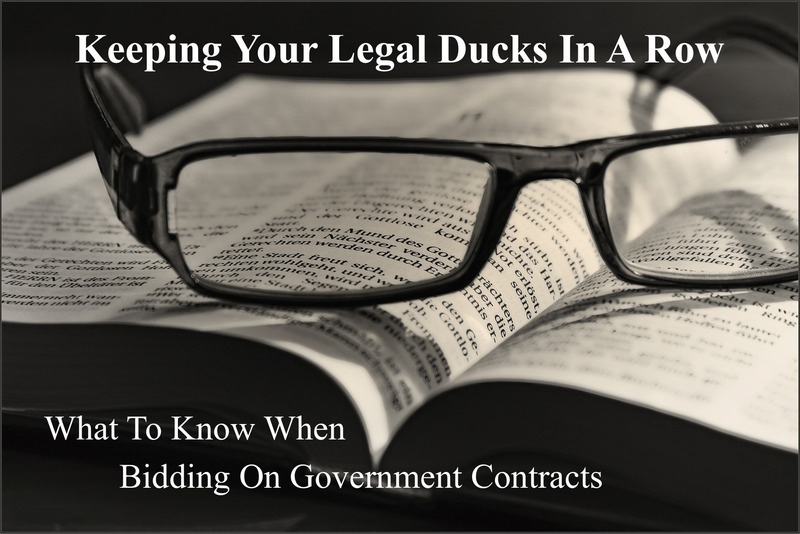 As the governing body of law for federal contracts, contracting officers are educated in the FAR and expect the same education from contract holders. To make matters more complicated, federal contracts are saddled with contract clauses, which – upon execution of the contract – are legally binding to all parties of the agreement. Additionally, the updates to the FAR come often, leaving the responsibility for knowing how these updates affect a contract lying upon the contractor. 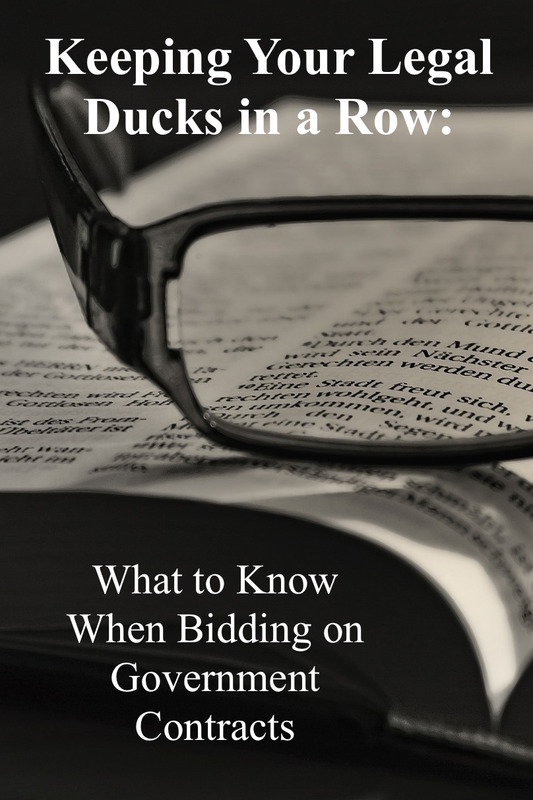 A successful bidder must remain compliant in order to keep said contract. However, despite the potential headaches, these hurdles should not scare a potential contractor from pursuing a federal business opportunity. Instead, it should serve as a reminder to keep your legal ducks in a row. In order to achieve success in bidding, the offeror must submit a winning bid to the offering agency. To do so, the offeror mustn’t blindly submit proposals to every opportunity that comes their way but instead target a select few that have a high win probability. Whether submitting a proposal on an opportunity that falls within an offeror’s niche or doing so on to a bid in which the offer has a pre-existing relationship; no proposal should be submitted without having a winning plan in place. A winning bid must be well written, follow all guidelines stated in the statement of work, and explain your technical approach with precise detail. Simply put, the purpose of a proposal is to state how an offeror would provide a better value/service than their competitors. Depending on a number of factors such as price, technical approach, location of bidder, or specific criteria placed within the RFP (such as a woman-owned small business set-aside), the government will issue an award. A company becomes a federal contractor upon being named an awardee to a federal contract. But in order to remain successful, a government contractor must continue performing to the satisfaction of the contracting officer and stay up-to-date on the latest changes and requirements. Very well stated! Great insight!! !